Andrew Brunson, the American pastor, is accused by Erdogan of complicity in the military coup which failed to unseat him two years ago. He was recently moved from prison to house arrest under heavy guard. Washington and the accused categorically deny the charge and Trump ordered Turkey to be sanctioned with heavy tariffs on its exports to America. The lira’s plunge accelerated and stands at 6.097 per dollar, even after Qatar pumped out $15bn to stiffen Ankara’s stand against the United States. In an interview, the US President challenged predictions that the row between the US and a fellow NATO member would hurt European and emerging markets’ economies and financial markets. 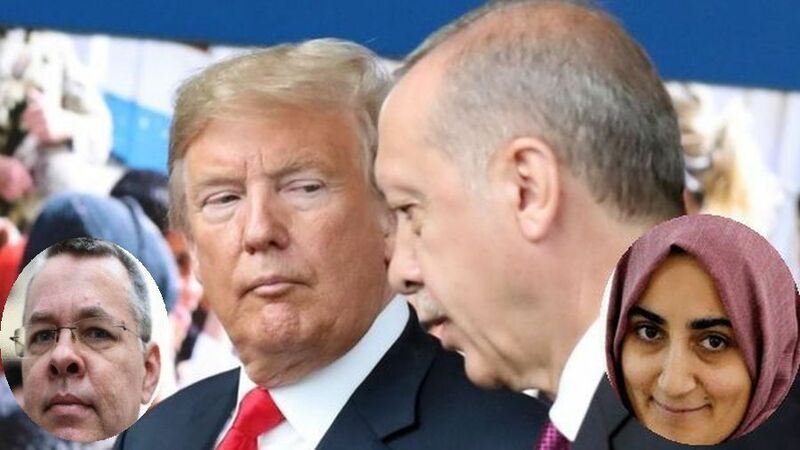 But, as DEBKAfile’s counterterror sources reveal, the US-Turkish tiff has generated a fresh complication in the drawn-out haggling led by Egypt with a nod from Washington for a Hamas-Israel truce in the Gaza Strip, with benefits for the Gaza population. One of the key benefits under discussion is the use of a Mediterranean port to enable the enclave to receive goods and export merchandise, mostly agricultural products. Port Said on the bank of the Suez Canal was mentioned, as well as Limassol or Larnaca in Cyprus. However, the release of Ebru Ozkan was seen by Hamas as a sign of Israel’s weakness and it raised the ante once again. Now, the Palestinian negotiators in Cairo are demanding that the port made available to them be located in Turkish Cyprus. There, Israel would have no way of monitoring the types of goods Hamas was importing to the Gaza Strip and President Erdogan, a longstanding fan of the Palestinian terrorists, would be able to supply them out of sight with weapons and military equipment. All this means that Turkey can now jump with both feet into the shambolic Gaza truce negotiations and use them as a tool for getting back at Trump and Israel.